It was a warm and sunny Friday, the perfect day to attend a well-organized expo in Spanish Lookout. Driving at modest speed from Belmopan, it took us 45 minutes to get to the site. Upon our arrival, we could feel the buzz of business in the air. Parking was well organized as were the beautifully decorated booths. The map of the ground was perfectly on target so it was not difficult to locate any particular booth that caught your interest. The aroma of food filled the air and vendors were busy preparing for the long day ahead. Also, the displays were well put together with everyone willing to demonstrate and explain about their product and business. Businesses included motor vehicles, car parts, agricultural products and medicinal type products. The telephone companies including BTL and SMART were present and had great deals to offer. We visited all booths so as to network with the enterprises that were present. This gave us the opportunity to become familiar with the activities of each business. We were able to get a better understanding of their business and to seek ways of how we can be of greater assistance to these enterprises. We shared various ways that Beltraide can be of assistance. 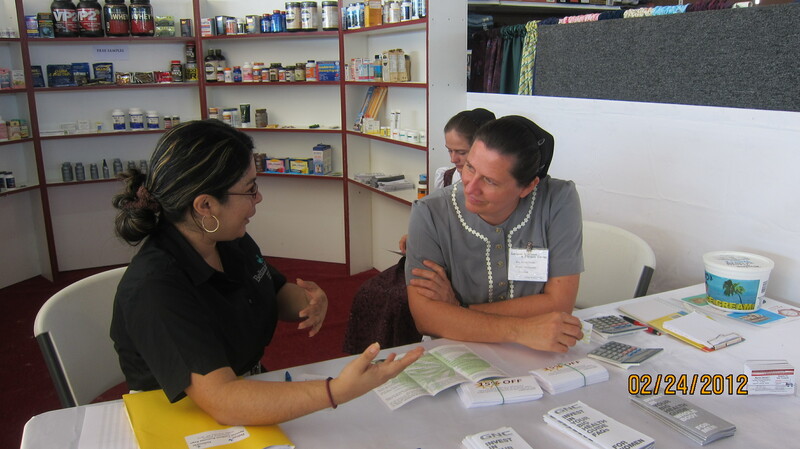 We also shared business cards and brochures with visitors to our boot as part of our mission. We also gathered information on the characteristics of the visitors to these booths. The information gathered will be used to update our contact listings of businesses in Belize. The expo was well attended and can be used as a model for other Expo’s in Belize. Big up to the organizers!!!! !